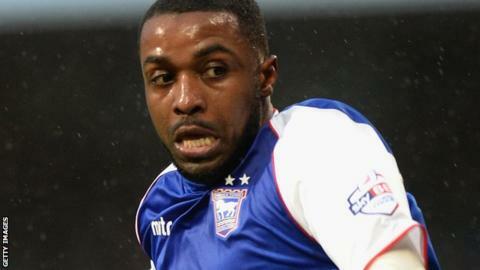 Sylvan Ebanks-Blake played a part in the equaliser before putting Chesterfield in front. Chesterfield hit back with a strong second-half showing to see off Barnsley at the Proact Stadium. Conor Wilkinson fired in from 12 yards to give the Tykes an early lead, but they were unable to extend their advantage before half-time. Jay O'Shea levelled after the break from 15 yards, before Sylvan Ebanks-Blake put the Spireites ahead. Sam Morsy made sure of the result a minute later with a firm 20-yard strike that cannoned in off the post. Match ends, Chesterfield 3, Barnsley 1. Second Half ends, Chesterfield 3, Barnsley 1. Substitution, Chesterfield. Emmanuel Dieseruvwe replaces Gboly Ariyibi. Attempt saved. Conor Hourihane (Barnsley) right footed shot from outside the box is saved in the centre of the goal. Corner, Chesterfield. Conceded by Lewin Nyatanga. Corner, Chesterfield. Conceded by Marc Roberts. Corner, Chesterfield. Conceded by George Williams. Substitution, Barnsley. Joe Rothwell replaces George Smith because of an injury. Substitution, Chesterfield. Armand Gnanduillet replaces Sylvain Ebanks-Blake. Goal! Chesterfield 3, Barnsley 1. Sam Morsy (Chesterfield) right footed shot from the centre of the box to the top right corner. Goal! Chesterfield 2, Barnsley 1. Sylvain Ebanks-Blake (Chesterfield) right footed shot from the centre of the box to the bottom right corner. Assisted by Dan Gardner with a cross following a corner. Corner, Barnsley. Conceded by Ian Evatt. Attempt blocked. Sam Winnall (Barnsley) right footed shot from outside the box is blocked. Attempt saved. Sylvain Ebanks-Blake (Chesterfield) right footed shot from the centre of the box is saved in the centre of the goal. Attempt blocked. Sylvain Ebanks-Blake (Chesterfield) right footed shot from outside the box is blocked. Attempt missed. Sylvain Ebanks-Blake (Chesterfield) right footed shot from the centre of the box is just a bit too high following a fast break. Alfie Mawson (Barnsley) hits the bar with a header from the left side of the six yard box. Attempt blocked. Ian Evatt (Chesterfield) right footed shot from outside the box is blocked. Substitution, Barnsley. George Williams replaces Daniel Crowley. Substitution, Barnsley. Marley Watkins replaces Conor Wilkinson. Corner, Chesterfield. Conceded by Ben Pearson.